Finally, after months of finding how to make something awesome... well... actually waiting for printing companies to figure their stuff out... we NOW have Sand-Attack for sale! Jump over to our Store to buy one for yourself! If you listen to "It's Super Effective" (which you can get here) you probably know the big joke of our show. We love, love, love Sand-Attack! Yet, certain people do not. 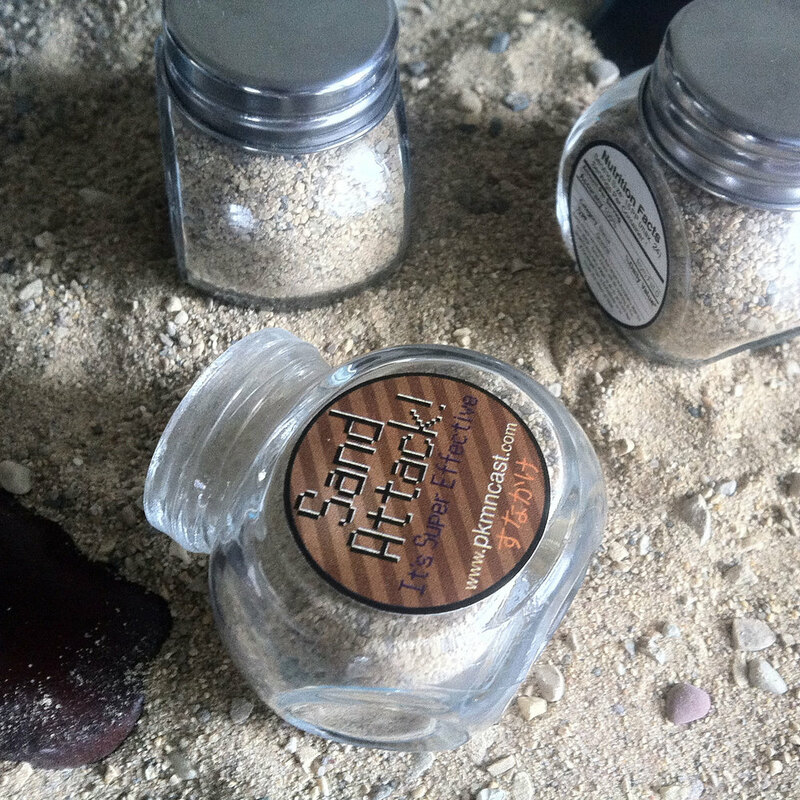 Get a piece of Pokemon Podcast history and have your own real life Sand-Attack! What is Sand-Attack good for? • Sitting on your desk. • Company when you play Pokémon. • Reducing your friend's accuracy. Sand-Attack is a Rare Item that you can only get from the PKMNcast. Get them before you run out of PP!